I woke up this morning to the new follower thing on the blogs--not a fan. Are you?? The old one was definitely more streamlined and cleaner looking. 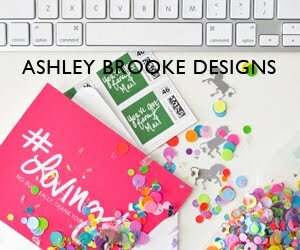 Tomorrow is the last day to enter Ashley Brooke Design's giveaway. She's giving away 50 calling cards or mom cards. Who doesn't need those? Perfect for networking and super convenient! You have the chance to be entered 6 times, so run, don't walk!! It's off to work for me today, here's hoping the shop is busy! Thanks to all of you who visited and/or became followers of the primrose shop's blog--I'll be updating that later today! It was a surprise to see that new follower thingy! Have a great day! eewwww! The follower thing is so not clean looking!! I thought it was something I messed up yesterday, I didn't know it was blogger-wide. Maybe if we complain enough it will revert!